Hey Coffeeholics! This last quarter of the year has definitely been a season of ups and downs for me. Most of the downs has got to do with my health. My lungs aren't quite agreeing with the erratic changes of weather.. but I'm coping thank God. I have learned that though there are times when have to go through rough circumstances in our lives but with faith, love, and hope we can overcome these and find the silver lining so to speak. For me, it wasn't silver. Its GADGETS! Hehe. 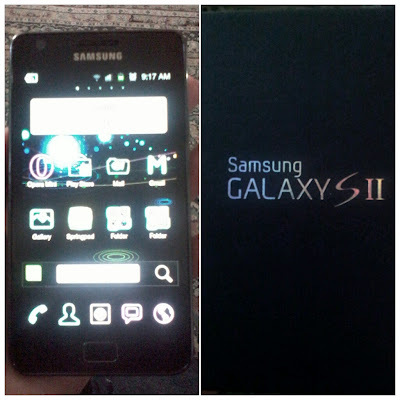 Meet my brand new SAMSUNG GALAXY S II! After 2 years (yes >__< its that old! 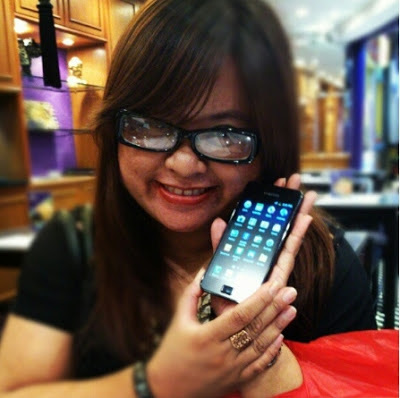 ), I finally retired my Samsung Galaxy 5 phone and was able to buy me a brand new android phone - the Samsung Galaxy S 2. I've been wanting to replace my Samsung G5 since the beginning of the year. Its actually one of the goals for this 2012 that I will replace my old phone. It hasn't been working properly since the upgrade of the Android Market to Google Play. I haven't been able to download anything from Google play since then which has been quite frustrating for me. So I was really looking forward to trade in my old phone to a new one as an advance Christmas gift to myself. I originally had a different model in mind (Samsung Galaxy W) but when I found out that there was only a lil bit of difference with the S2, I decided to go for it! I normally don't change phones right away so I figured if I was going to get a new phone, might as well spend for it a lil bit more so that it will last longer. No I didn't get the S3 coz it was way beyond my budget. (Everyone I know keeps asking me this.. :P)That's the main reason why. 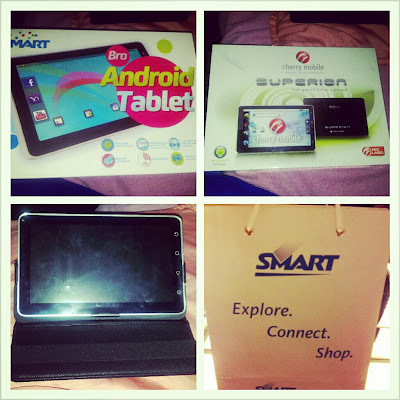 I'd like to thank Kuya Paul and Japz for helping me out in buying my phone at Greenhills. Yes I bought it at GH. Some people might be a bit apprehensive in buying there but with the right friends who knows the ins and outs.. its not that bad! Hehe. I believe I got the best deal there thanks to my friends. So yeah, I'm really grateful for that. 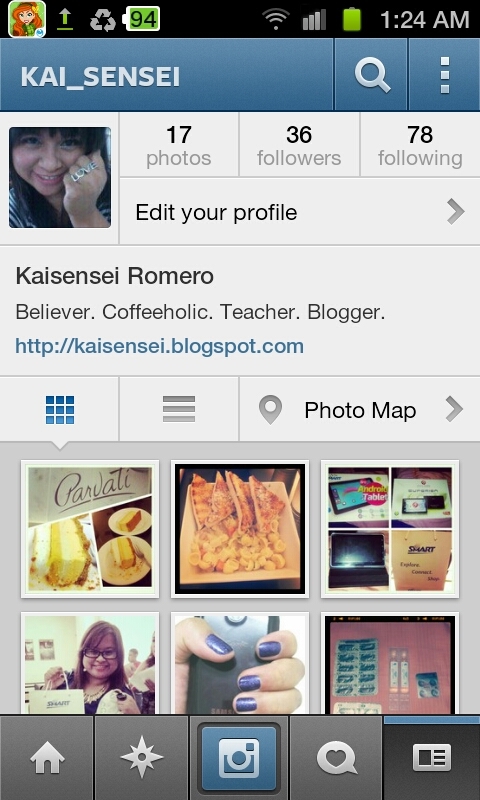 So yes my dears, finally I have INSTAGRAM! :) So you can now all follow me @kai_sensei (same as my twitter account). Follow me! Just add @kai_sensei! Anyway, so yeah, I have many things (besides these gadgets) of which I am grateful for which also helped remind me to stay positive. So what about you coffeeholics? Are you going through something these past few days or weeks? Have you too found your silver lining or blessing? Do share share share! Have a great weekend! 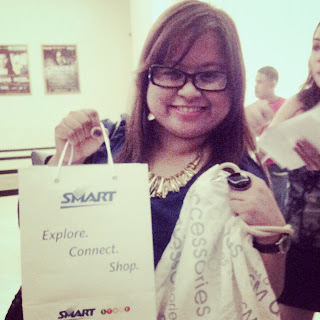 Thanks SM Accessories and Smart for making my day!